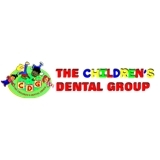 The Children's Dental Group (Lithia Springs) - Book Appointment Online! Very professional & knowledgeable! Very impressed! VERY professional, nice, friendly, welcoming staff!